Bold. Strong. Confident. A tidal wave of momentum is galvanizing sisters around the world to rise together. 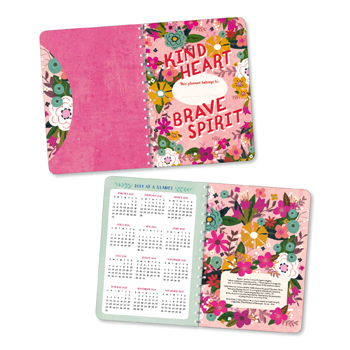 This vibrant planner features Kelly Angelovic's colorful artwork and hand-lettered declarations of female empowerment. Extra lined note pages, a pocket and extra lined pages for reminders.